The State of the Field Series continues with an exploration of Lincoln and his biographers. At Ford’s Theater in Washington, DC, the National Park Service has put together a massive tower of Lincoln biographies that literally stretches from floor to ceiling. Clearly, the task of gathering all of the volumes pertaining to the life of Abraham Lincoln (let alone analyzing them) is an arduous one. Professor Guelzo surveys how the reputation of our sixteenth president has ebbed and flowed over the years. By 1861, northern teachers had long occupied a unique place within southern society. Collectively denounced as dangerous foreign agents, individually, southerners placed great trust in their own “Yankee” teacher. Thus, these northerners presented a dilemma for Confederates when the war came, and there was an escalating tension between public and private perceptions. Northern teachers, too, struggled over what to do. A surprising number stayed. Some declared their allegiance to the Confederacy, but others did not, hoping they could maintain their apolitical status. That they thought they could do so says much about the nature of sectional identity and the perceived relationship between the individual and the nation. That, for most of them, these hopes would be dashed says something else about the pressures of war and the growing demands of nationalism. Michael T. Bernath is Charles W. Tebeau Associate Professor of History at the University of Miami. He is the author of Confederate Minds: The Struggle for Intellectual Independence in the Civil War South (2010) and is currently completing a book manuscript on northern teachers in the old South. Allen Carl Guelzo is Henry R. Luce Professor of the Civil War Era at Gettysburg College, director of the College’s Civil War Era Studies program, and three-time winner of the Lincoln Prize. 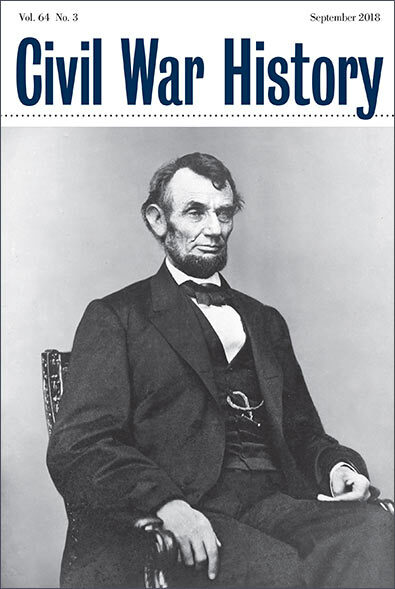 His most recent book is Gettysburg: The Last Invasion. McKnight, Brian D. and Barton A. Myers. The Guerilla Hunters: Irregular Conflicts during the Civil War. Reviewed by James Marten. Keating, Ryan W. Shades of Green: Irish Regiments, American Soldiers, and Local Communities in the Civil War Era. Reviewed by Damian Shiels. Stanley, Matthew E. The Loyal West: Civil War and Reunion in Middle America. Reviewed by Michael Todd Landis. Grass, Christopher, ed. Bloody Engagements: John R. Kelso’s Civil War. Reviewed by Madeleine Forrest. McIlwain, Sr., Christopher Lyle. 1865 Alabama: From Civil War to Uncivil Peace. Reviewed by Lauren Spencer. Masich, Andrew E. Civil War in the Southwest Borderlands: 1861-1867. Reviewed by Kevin Waite. Liles, Deborah and Angela Boswell, eds. Women in the Civil War: Diversity and Dissidence in the Trans-Mississippi. Reviewed by Maria Angela Diaz. De La Tega, Jesús F. Lone Star Unionism, Dissent, and Resistance: Other Sides of Civil War Texas. Reviewed by Chris Menking. Trevelyan, Laura. The Winchester: The Gun That Built an American Dynasty. Reviewed by Matthew C. Hulbert. Pierson, Michael D. Lt. Spalding in Civil War Louisiana: A Union Officer’s Humor, Privilege, and Ambition. Reviewed by Jonathan Scott. Strom, Sharon Hartman. Fortune, Fame, and Desire: Promoting the Self in the Long Nineteenth Century. Reviewed by Yvette J. Saavedra. Jeffrey, Katherine Bentley, ed. Two Civil Wars: The Curious Shared Journal of a Baton Rouge Schoolgirl and a Union Sailor on the USS Essex. Reviewed by Charles Wexler. Burkhardt, George S., ed. Sailing with Farragut: The Civil War Recollections of Bartholomew Diggins. Reviewed by Matthew Taylor Raffety.